The purpose of this systematic review is to assess the impact of pessary use on the quality of life of women with pelvic organ prolapse, and to determine the satisfaction rate and rationale for discontinuation. This review is recorded in the PROSPERO database under number CRD42015023384. 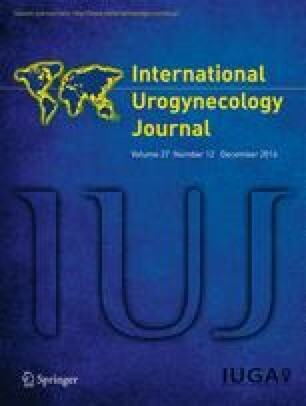 The criteria for inclusion were observational study; cross section; cohort study; randomized controlled trial; study published in English, Portuguese, and Spanish; and study whose participants are women with female pelvic organ prolapse treated using a pessary. We did not include limitations on the year of publication. The criteria for exclusion included studies that did not include the topic, bibliographic or systematic reviews and articles that did not use validated questionnaires. The MeSH terms were “Pelvic Organ Prolapse AND Pessaries AND Quality of Life” OR “Pessary AND Quality of Life” OR “Pessaries”. We found 89 articles. After the final analyses, seven articles were included. All articles associated pessary use with improved quality of life, and all used only validated questionnaires. Over half of the women continued using the pessary during the follow-up with acceptable levels of satisfaction. The main rationales for discontinuation were discomfort, pain in the area, and expulsion of the device. This systematic review demonstrates that the pessary can produce a positive effect on women’s quality of life and can significantly improve sexual function and body perception.